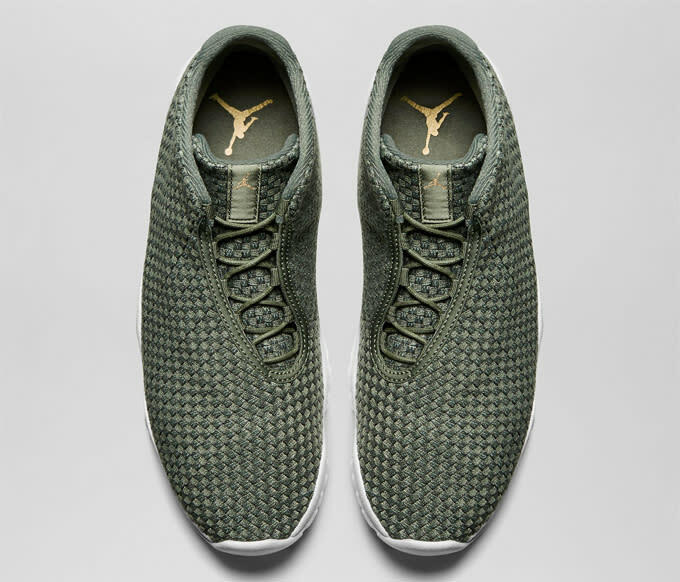 Kicks of the Day: Jordan Future "Iron Green"
It&apos;s a new year, which means another chance to step up your sneaker game and make up for all the struggle from 2014. 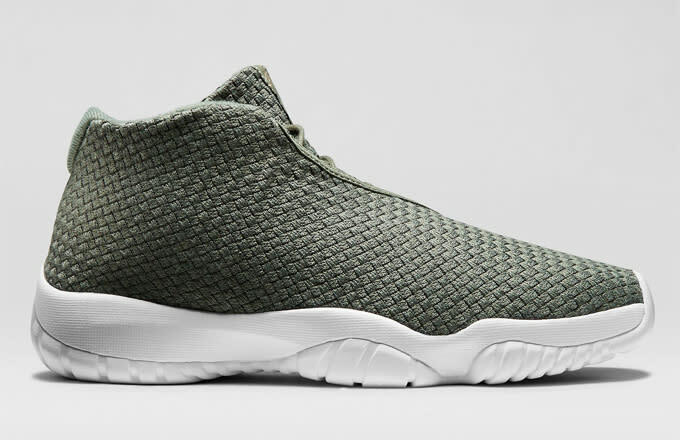 What better way to start anew than with the Jordan Future in the "Iron Green" colorway. The street-ready lifestyle Jordans debuted in a huge way last year and took the sneaker industry by storm. Equipped with unmistakable Air Jordan XI tooling and a tight woven upper, the Future is a minimal sneaker that just about everyone can get behind, from Jordan &apos;heads to cozy boys. And who knows, you might just be rocking these Js one day and get the ultimate co-sign from none other than Kanye West. It could happen, right? Right. Cop yourself a pair on Nike Store for $150, while the colorway is still available.